We can all appreciate the availability of an Internet connection when we are away from our home or office connectivity. Some people are on limited data plans, so very often, love the fact that they can save their data and use free Wi-Fi. Free public Wi-Fi is now commonly available throughout most Australian cities as a result of renewed investment in this area. While it is good to have greater accessibility, public Wi-Fi is often unsecured, which makes it fraught with multiple threats to the security of consumers’ personally identifiable information (PII) and banking credentials. A number of news outlets have conducted experiments to show how easy it is for cybercriminals to access personal and financial information by using public Wi-Fi to hijack mobile devices. In each case, the unwitting participants in the exercise are astonished at how easy it was to convince them to sign on to the rogue Wi-Fi networks and the extent of the exposure of their confidential information. Last year McAfee conducted a survey of 1200 Australians, of which 42 percent said that they believed that their personal information was as safe when they connected to Wi-Fi while on vacation as when they were at home or at work. This is compounded by the fact that 62 percent of these respondents also indicated that they either did not know or did not care if they were using a secure Wi-Fi connection. A related survey by Symantec, found that 83 percent of Australians have used public Wi-Fi to log into their email accounts, share media online and even check their bank balances. 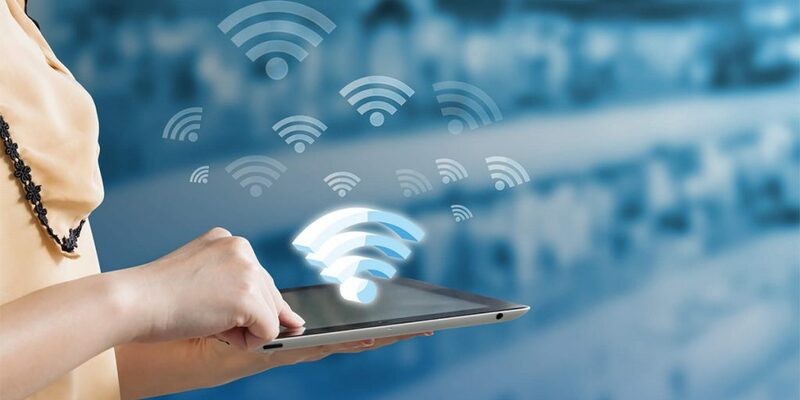 The prevalence of Wi-Fi connectivity in retail spaces has also influenced consumers to access their financial accounts on unsecured Wi-Fi networks. A study conducted by lead researcher Dr. Ian McShane at the RMIT University corroborates this trend. The most used public Wi-Fi networks were provided by restaurants and cafes, followed by shopping centres and hotels, and then parks and city squares. Approximately 10 million Australians have accessed public Wi-Fi networks, with 2 million persons conducting financial transactions, and one million performing work-related duties such as accessing emails and sharing files on these networks. According to McShane, Australia ranks as the sixth highest on an international scale for cyber attacks. Public Wi-Fi is also a popular hotspot for criminal activity, so appropriate care must be taken when accessing any such networks. It is also not enough for adults to be careful when using public Wi-Fi. A lot of children have their own mobile devices (or frequent access to family devices), which generally means that they are accessing Wi-Fi as well. This means that children need to be monitored whenever they are using the Internet, and older children must also be educated about safe Wi-Fi use. According to Alex Merton-McCann, McAfee cybersecurity blogger, it is important to manage Wi-Fi use among children, especially when vacationing. The inappropriate use of public Wi-Fi can be very costly. In December 2017, a diner lost $155,000 worth of Bitcoin when he used a restaurant’s unsecured public Wi-Fi. The man had logged into his Bitcoin account at the restaurant to check his account balance. The cybercriminals moved the stolen funds to an untraceable account. Companies located in Japan and South Korea, have also suffered significant financial losses as a result of cyber criminals hijacking digital currency accounts. The vulnerability of these digital currency accounts also extends to payment cards and other online payment vehicles. According to Dr. Mark Gregory of RMIT University, the implementation of widespread public Wi-Fi in Australia means that government, industry and consumer agencies should develop awareness campaigns on the matter of public Wi-Fi security. Merton-McCann emphasised that it is best to avoid public Wi-Fi to ensure personal and banking information security. Admittedly, it can be difficult to reduce public Wi-Fi use to zero, so as a compromise, consumers should never access personal and banking accounts while using these networks. Public Wi-Fi security can be improved through the use of Virtual Private Networks (VPNs) and also by ensuring that websites and services accessed operate under HTTPS.